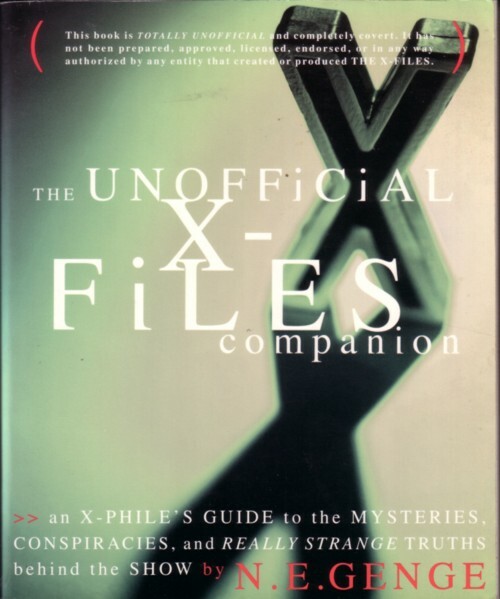 It is mixture between descriptions of episodes of the X-Files and background information on the mysteries that are featured in these episodes. I have only seen one or two episodes of the X-files. I am interested in mysteries, but not really in fiction about mysteries. I would advise anyone who is interested in mysteries to start to write about it. I did that some years ago, on a daily basis for weeks. To my surprise I found out that everything that I “knew” about mysteries came from magazines, books and movies. Of all the mysteries that I had been fascinated by for decades, I had no first hand experience or knowledge whatsoever! Since then I began loosing my interest in most of the famous mysteries. I now concentrate on the biggest mystery ever: the fact that anything exists at all! The tune of the X-Files, composed by Mark Snow, has been covered by many people, but somehow I don’t really like it. I prefer the kind of tunes that were used for older sci-fi shows. Like the tune that John Williams composed for ”Time Tunnel” . It is on the beautiful series of five (!) double LP’s called ”Television’s Greatest Hits” . More about those records later!